Mathenet was a commanding officer during World War II. He was in the First Moroccan Division in Africa. Born in Valognes in the Manche of France in 1884, Paul Legentilhomme attended military school until he joined the Colonial Infantry two years after. He was promoted to Lieutenant in 1909. At the beginning of World War I in 1914, he gets captured and becomes a war prisoner, released only four years later in 1918. He becomes chief of staff in 1924 and gets sent to Madagascar from 1926 to 1928, and later he is promoted to higher rankings and spends the next four years in Indochina. Legentilhomme is promoted to commander in chief of the Allied Forces in Somalia, right before the war starts, in 1939. A year later, he decides to head back to Europe and continue the war there. With General de Larminat, he attempts but fails to bring his Somalian forces to France, so he joins General de Gaulle by himself in France in 1940. He gets together the First Free French Division and transfers to Syria in 1941. On September 9, 1942, General de Gaulle awards him with La Croix de la Libération, a medal for ordonnance. Legentilhomme is promoted to high commissioner of the French possessions in the Indian Ocean as well as the governor of Madagascar in January of 1943. He leaves his post in May of 1943. 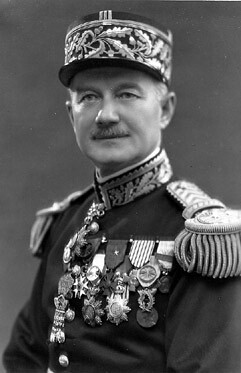 He then becomes general commanding officer of the 3rd Military Region and in 1945 is the Military Governor of Paris. From 1952 to 1958, he is a member of the French Union Assembly and receives in June of 1960 the Military Medal. He dies at Villefranche-sur-mer on May 23, 1975.